In many ways, scrap metal makes the world go round. Thanks to huge worldwide demand, it's an industry that generates about $36 billion in revenue each year, employs over 34,000 people and is the home to over 1,000 businesses. If you live in Brooklyn then you know that much of the waste and the junk in your home can be disposed of through apartment dumpsters and curbside trash pick up, however that scrap metal can be more difficult to get rid of and leave you home or business filling up with unwanted trash. While we don't think much about scrap metal as we go about our day to business, once items become worn out and break you begin to realize just how quickly scrap metal can pile up. While bits and pieces of metal may be worthless to you, they are big business to some people, and more importantly old scrap metal can be used to make new products we can use. Scrap metal consists of metal bars, rods, sheets, wires, radiators, old automobiles, and the metal from such things as old worn factory assembly lines. 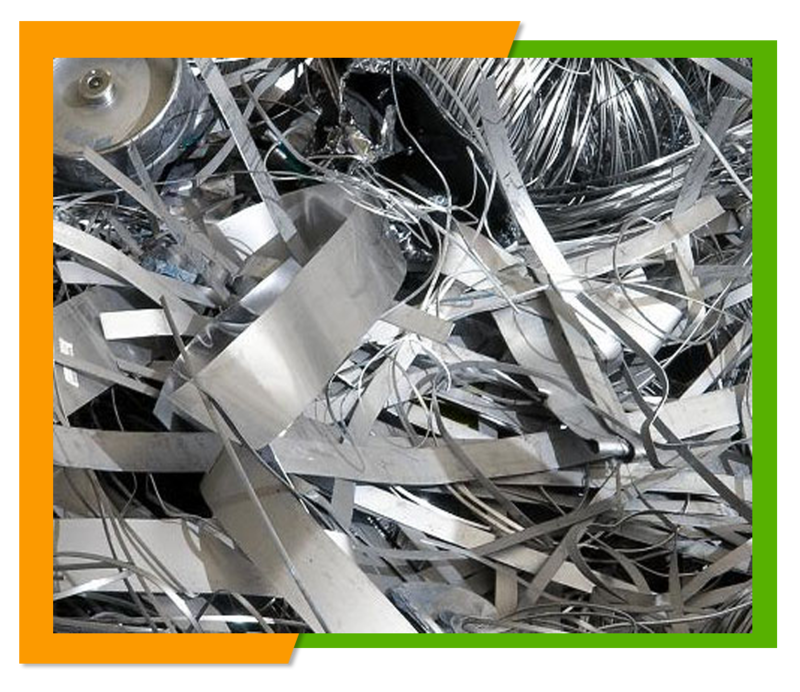 Scrap metal includes metals such as copper, steel, aluminum, iron and wires. All too often usable scrap metals gets thrown away simply because we don't know how to properly dispose of, don't have the time to make trips to the nearest junk yard, or simply don't understand it can still be useful. This scrap metal often ends up cluttering garages, basements, or the yards of businesses until it reaches proportions where people finally get fed up and want to get rid of it. Here at Flat Rate Junk Removal we can take of all of that scrap metal for you and take it to the scrap yard where it can be recycled and used to make new items. We'll come to your location whether a business or residents, load up that scrap metal for it and get it out of your way so you can have some uncluttered space. 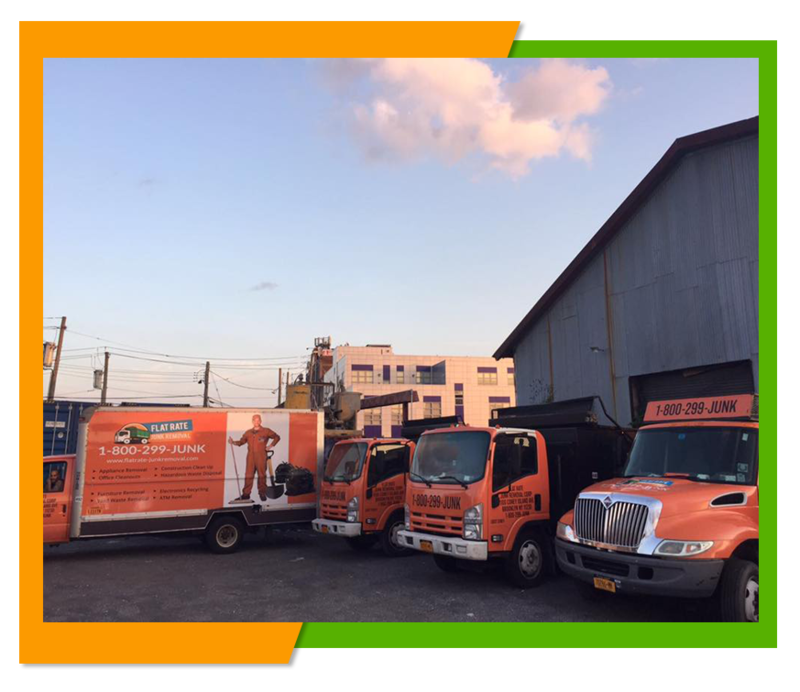 No matter where your home or business may be in Brooklyn we will be more than happy to take care of all your scrap metal removal needs for you. Our 24 cubic trucks and two man crew can make short work of that scrap metal pile and all for the same low rate no matter how big that scrap metal pile may be. We do everything we can to make having that scrap metal removed as stress free and convenient for you as possible. Of course we not just a scrap metal removal company, in fact we can take of all of your junk removal needs as well, whether your cleaning out a mess left by previous tenants, clearing out an estate, moving your business or need to appliances, tires or hazardous waste removed we have the right men for the job and who can provide you with fast friendly service whenever you need it. To get a free estimate of our services or to call for an appointment or learn more about any of our junk removal services give us a call at 1-800-299-5865 and we will be happy to assist you.